No matter what thought first enters your mind, we are certain that it is amazing and unique to you. That is the interesting thing about what calms us, isn’t it? That it is so personal that you can probably close your eyes and practically smell or hear whatever it is that brings you joy about nature. That is our goal when building stunningly beautiful and natural homes in the Tri-Mountain Estates community of custom homes in La Center WA. With Tuscany Homes, these homes are built with the individualized characteristics of what makes you and your family feel right at home. We want to bring that smell of cedar or that sound of burbling water right to your senses. This is the founding reason of why we love the location of this nature boasting community. Not only can you experience feelings of what you love about nature inside your home, but you can actually go outside and live it within this luxurious gated community. Inside the gates of Tri-Mountain Estates, you will find a private lake, perfect for all of those adventures you have been dreaming about and walking paths that will help you become one with nature without even getting in your car. Whatever your hobby or sport, this area is sure to exceed those expectations. Maybe meditation or yoga is your strength… Imagine meditating surrounded by the peace and quiet of the great outdoors. With our custom homes in La Center WA, you can achieve ultimate relaxation with the calming elements that are handpicked by you. 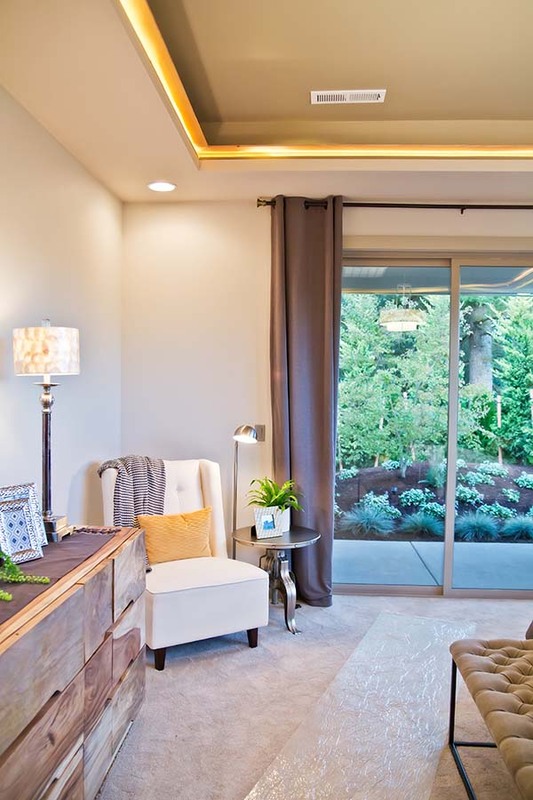 If this all sounds great and you are looking to invest in a home that can meet your needs of luxury and beauty inside and out, look no further than our custom homes in La Center WA! With one of these amazing havens, you can stop daydreaming about that perfect dream home, and start truly living your ideal life connected with nature. Contact Tuscany Homes today to discuss your options for designing a home at Tri-Mountain Estates that will be your sanctuary for many years to come.